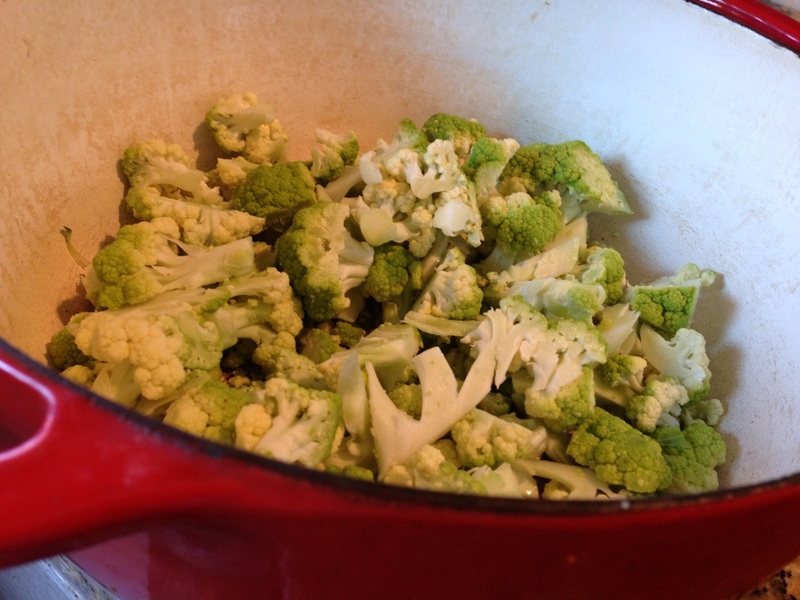 I have always wanted to do a one ingredient soup and choose cauliflower to experiment with. I used a green cauliflower/Broccoflower just for fun but you could use any variety of cauliflower. 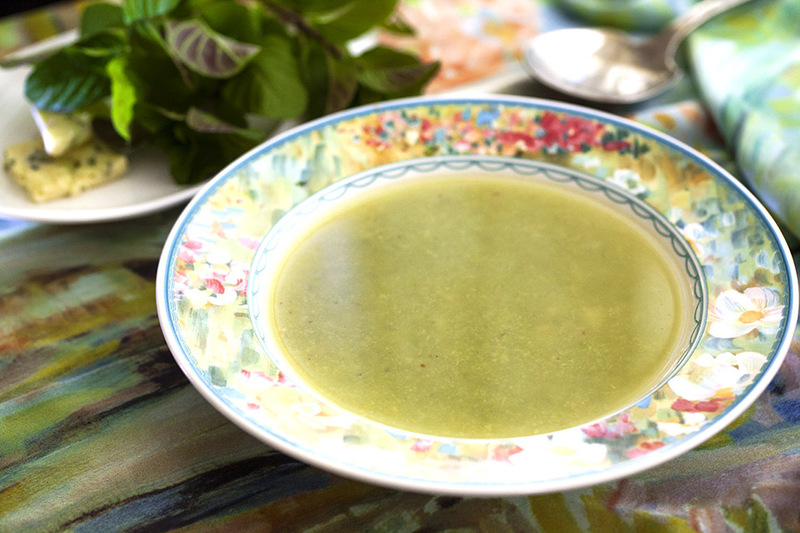 You are not going to believe how delicious this very simple and so few ingredient soup is. 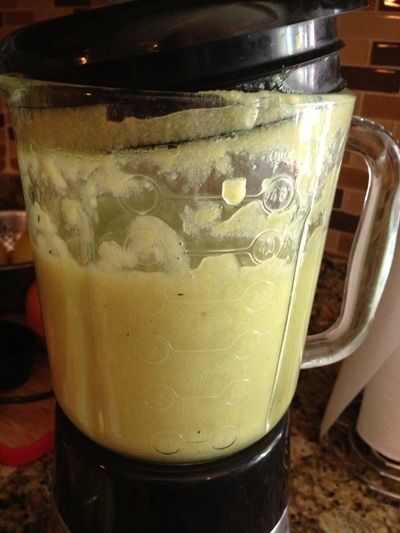 Blended cauliflower has a creamy texture and taste. 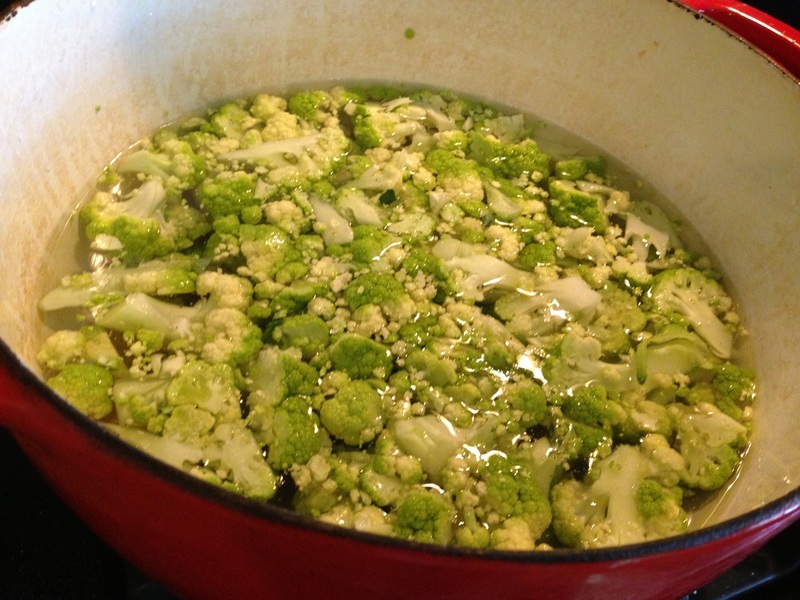 Added salt and pepper add just enough flavor to this soup. Give it a try, I promise you will love it. 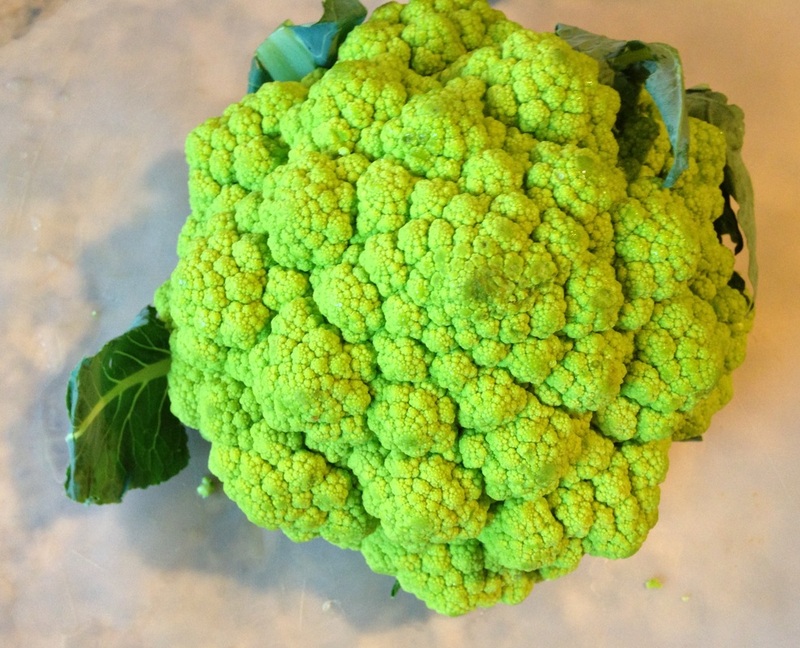 Green cauliflower is higher in protein, at 2.95%, than either white cauliflower, 1.92%, or broccoli, 2.82% .Broccoflower is highly nutritious. 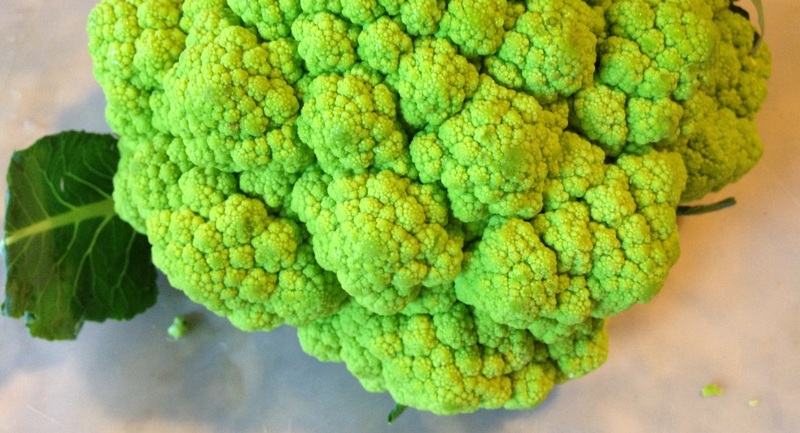 One cup of broccoflower florets provides 20 calories, nearly two grams of protein, four grams of carbs, two grams of fiber and is an excellent source of vitamin C.
It is a hybrid of cauliflower and broccoli, both members of the species Brassica oleracea, making them fully cross compatible. The cross is easily made by hand pollination or natural pollinators. Green cauliflower can also be found under the name broccoflower or cauliflower broccoli. 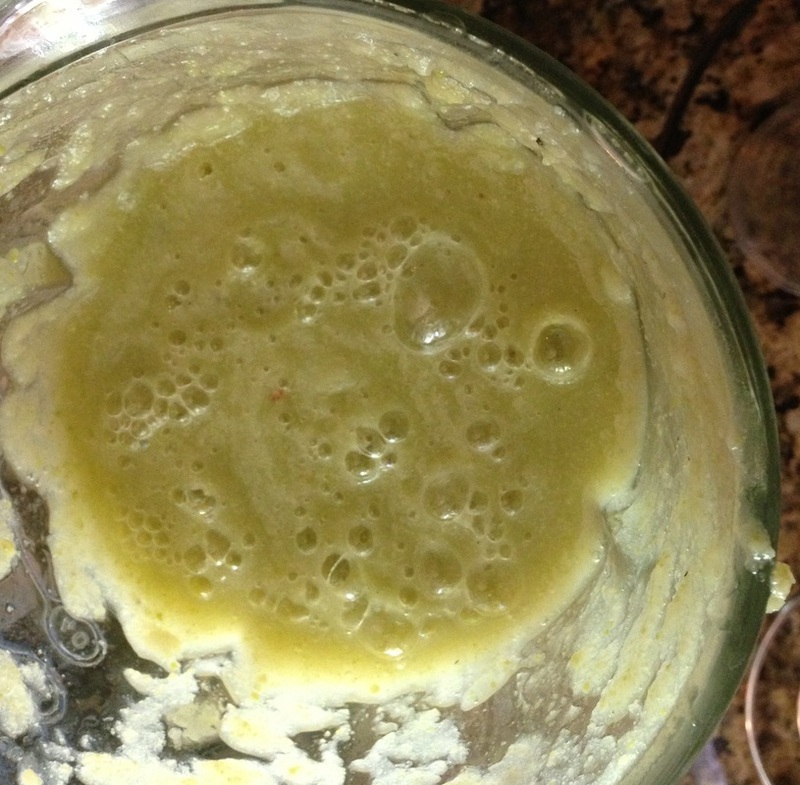 Because I wanted to do a one ingredient soup is it cheating to use Broccoflower? Chop, cook and blend. That's it! 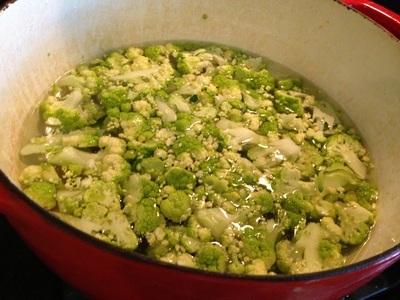 In soup pot add cauliflower, salt and pepper. Cook on medium for a few minutes stirring a few times. Add water and cook until cauliflower is tender/soft about 25 minutes. Remove form heat and let cool. Transfer to blender and blend in two batches. Serve with sea salt ground on top.